YOU’RE casually scrolling through your Instagram stories when you’re suddenly hit with a wave of FOMO. Why? Because your friends are again at one of the many music festivals having the time of their lives, while you didn’t even know it happened. Remedy that in 2019, when many of the best music festivals with the most exhilarating atmospheres are set to return, some of them even making big changes to its storied histories. Unfortunately, this year’s Singapore edition of the St. Jerome’s Laneway Festival was postponed due to some unforeseen logistical issues. But this is your opportunity to fly down to the Australasia region to experience the OG Laneway show. Held over spring in the cities of Sydney, Melbourne, Brisbane, Adelaide, Fremantle, and Auckland, Laneway brings out an eclectic mix of chart-toppers with up-and-coming acts that bring a fresher look at music, especially from down under, where half the acts are Australian. This year’s festivities will see Gang of Youths and Courtney Barnett headlining the shows, plus the addition of veteran performers like Florence and the Machine (Auckland exclusive) and Jorja Smith. Chances are you attended Ultra Singapore earlier this year, but until you’ve seen the Miami edition, you’re missing out. 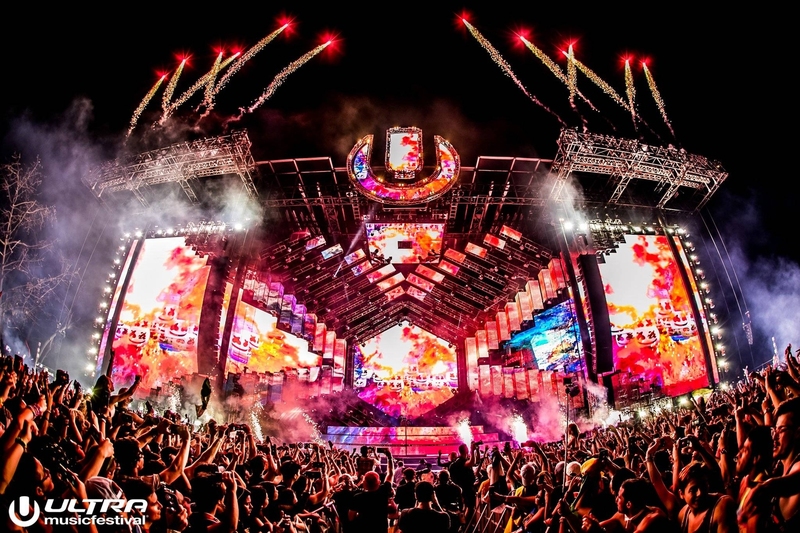 The 21st edition of Ultra Music Festival would be the festival’s first time at Virginia Key, which allows for a larger capacity compared to its previous home at Bayfront Park in Downtown Miami. Come March 2019, the biggest DJs will play to over 160,000 attendees from 60 different countries. While the lineup hasn’t been announced, it’ll be hard to top last year’s goosebump-inducing reunion of Swedish House Mafia. One thing’s for sure though: there will be many awe-inspiring stages (2018 saw a wormhole-esque venue and the Arcadia Spider), plenty of pyrotechnics, and many fond memories made. There are over 4.1 million posts hashtagged #Coachella on Instagram, which can effectively cement the two-weekend extravaganza as the most popular music festival. It’s held yearly in California’s Coachella Valley and draws out the biggest acts of all time. Past headliners include Beyoncé, The Weeknd, Calvin Harris, Kendrick Lamar, Drake, Muse, Kings of Leon… you get it. This year’s festivities will take place over two three-day weekends from April 12 to April 21, and the sunny Californian weather will make for the perfect photo-op against the blue skies and the iconic Ferris wheel (a ride at sunset would be surely unforgettable). While the headliners haven’t been announced yet, we suspect Childish Gambino, Kanye West, and Justin Timberlake would be playing on the main stage to the delight of over 250,000 attendees. Update: Tickets are sold out – better luck next year! If you ever wanted to trip out to psychedelic laser lights synced to the best electronic dance music, then Tomorrowland is the place to be. As one of the largest music festivals in the world, the tickets for Tomorrowland sell out in minutes, which is absolutely insane when you think that there are over 400,000 attendees spread out over two weekends in the summer. The entire experience, from receiving your ticket to raving in the pits, is truly unparalleled. First, your ticket comes in a beautifully designed box set that’s set to whatever the year’s theme is. This year’s theme is “The Book of Wisdom – The Return”, so maybe your tickets will arrive in a hardcover volume. There is also the unique camping experience in the Tomorrowland campsite, aptly called Dreamville, that comes with a marketplace, a lot of food stands, and even a hairdresser for that fresh cut before you head out for 12 hours of partying. Registration to purchase tickets for this year’s Tomorrowland begins December 15, and tickets will go on sale January 19, 2019. The Electric Daisy Carnival is to the West coast of the USA what Ultra is to the East coast. The annual electronic music festival held at the Las Vegas Motor Speedway takes the carnival in its name and amps it up with pyrotechnics, interactive art installations, superstructures, the best electronic DJs, and unsurprisingly, actual carnival rides all under the “Electric Sky”. Last year’s headliners include Martin Garrix, Marshmello, and Zedd, and while we’re still waiting to see who’s going to take the main stage (most likely announcing around February 2019), we have no doubt that it would be a kaleidoscopic bonanza of the highest order. While there are other iterations of EDC around the world, the Vegas flagship is the one to attend for that bona fide experience. There’s something magical about the grounds of Glastonbury. Almost every year now and for five days, the Worthy Farm in Somerset has been the hub for the hippie, counterculture, and free-festival movement. After all, it has had a history of over 46 years, including “fallow years” every five years to give the land, organisers, and locals a breather. The 2019 edition of Glastonbury would be the first festival since 2018’s fallow year. So far, the only headliner announced for next year’s festival is Stormzy, a 25-year-old English rapper. There are rumours that Kylie Minogue, Liam Gallagher, Sir Paul McCartney, and the Spice Girls (sans Posh) will also take the main Pyramid Stage. The British weather can be quite temperamental though, so remember to check the forecasts if you are headed to Glastonbury and pack accordingly. Aside from the festivals in Australia, the Fuji Rock Festival that takes place in a Japanese ski resort is one of the most accessible. Held on the last weekend of July each year, Fuji Rock is one of Japan’s largest outdoor music festivals, and attracts some top talent to perform—2018’s lineup included Kendrick Lamar, Odesza, MGMT, Vampire Weekend, and Bob Dylan. While it might not be as big and extravagant as the other international music festivals, Fuji Rock can still hold its own. After 14 hours of music every day, the night still goes on with afterparties at the Red Marquee that wrap up at 5 am. The festival is also one of the most eco-conscious. Some of the stages are powered by solar or bio-diesel, and in the past, the festival has hosted antinuclear charities. The atmosphere is a bit more subdued and tame, and debauchery is rarely seen at the grounds when compared to the other festivals on this list. Despite its goofy name, Lollapalooza is anything but. The celebration of alternative music, rock, hip-hop, metal, and electronic dance (among others) takes place once a year in Chicago’s Grant Park with the Windy City’s skyline providing a picturesque backdrop. Since its inception in 1991, there have been many iconic moments, including when Lady Gaga stage dived the crowd during her headlining act in 2010.